What will it mean for Motorists? In the past twelve months, motoring law has seen a swing towards the digital era. 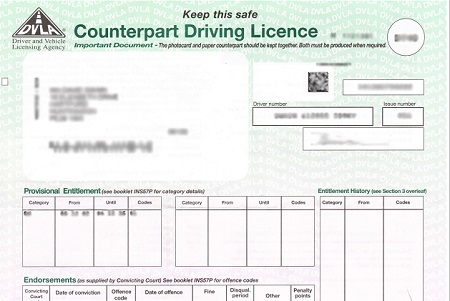 Paper tax discs were abolished in 2014 and the driving licence paper counterpart is to follow suit on the 8th June 2015. The next step towards this digital era introduces a service available for individuals who are summonsed to appear in court for minor motoring offences. The new service will allow them to make a plea and be dealt with online without having to step foot in a courtroom. The government’s ‘make a plea’ service will allow defendants charged with relevant offences to log-on in the comfort of their own home and submit a plea. The list of offences to utilise this service will include, but is not limited to speeding, driving with no insurance and failing to furnish the identity of a driver. A service was trialled in the Greater Manchester area and statistics show that approximately one third of defendants elected to use the online service as opposed to attend court and this positive response has lead to the service being rolled out across England and Wales. Even more helpful is the ability for a defendant to consider some of the evidence against them and receive notifications of any penalty imposed in the event a plea of guilt is entered. Many motorists summoned to court find the entire experience extremely intimidating and a huge inconvenience. The new system provides a way to direct reduce both of these factors on the defendant as it cuts out the court attendance altogether. In today’s modern era, it makes much more sense to have such a system set up to replace the old postal service and the service will be optimised for personal computers, laptops, tablets and smart phones. Courts across the country should also welcome this step forward as its aim is to help reduce wasted court time and expense by making the whole process more streamlined and efficient. The only potential downside is that more people may be inclined to plead guilty to an offence they may have otherwise challenged due to the new level of convenience being afforded to them. The intimidation factor is often what leads defendant’s to (quite rightly) seek representation and professional help and not having to attend court could sway many to simply accept a penalty. An individual will receive a postal requisition inviting them to either attend court, send their plea in writing or use the “make a plea” service. Defendants can then log into the service at www.makeaplea.justice.gov.uk. They will need to enter the unique reference number from the requisition together with the hearing date and the number of charges. Defendants will then be able view the prosecution evidence online before entering a plea. The new system is available 24 hours a day, 7 days a week and accordingly, defendants can enter a plea at a time most convenient for them.